The Sofitel La Reserva Cardales is at the heart of unique natural surroundings, held in high acclaim for its proximity to the Rómulo Otamendi nature reserve. This innovative concept is possible thanks to its privileged location. Situated 38 miles (61 km) along route 9, just 40 minutes from the federal capital and 50 minutes away Ezeiza International Airport, the hotel boasts an easily accessible, direct location. This majestic hotel is embedded within unique natural surroundings, held in high acclaim for its stunning features, forests and close proximity to the nature reserve. Designed mainly for guests looking to strike the perfect balance between business, rest, well-being and experiencing sophistication. A lively area that fuses contrasting sensations, immersing you in a realm that transcends the aesthetics of design. High-quality service, personalized treatment and warmth in every detail. The impressive main building houses all the usual services offered to guests. Surrounding it are 7 blocks of rooms connected by glass walkways, laid out in an original horseshoe design over a vast lagoon..
Each Sofitel uniquely fuses French art-de-vivre and local sophistication. The Sofitel La Reserve Cardales combines comfort and design and is immersed in a privileged natural environment, opposite the Rómulo Otamendi Natural Reserve. A space that is an explosion for the senses, immersing you in an atmosphere that transcends the aesthetics of its design. The hotel's decor, featuring noble material such as wood, leather and stone, transmits a surprising sense of austere, warm luxury. Enjoy a unique stay just 40 minutes from Buenos Aires. At km 61 on Route 9, our establishment is easily accessible. You can enjoy magnificent landscapes, golf, the lagoon and the surrounding nature. In a unique natural setting, the Sofitel La Reserve Cardales provides the perfect space in which to enjoy refreshing spa sessions, plan conferences, organize your wedding and spend your honeymoon, or simply to bask in genuine relaxation. Adjacent to the Reserva Cardales Country Club, easily accessible and secure, and just 40 minutes from the federal capital, on km 61 of National Route 9. By car from Buenos Aires, take the northern access route, Ramal Campana. Exit at km 61, to take Route4. Having crossed the Panamerican Highway, take Colectora Oeste northwards. The main entrance is 219 yards (200 meters) away. 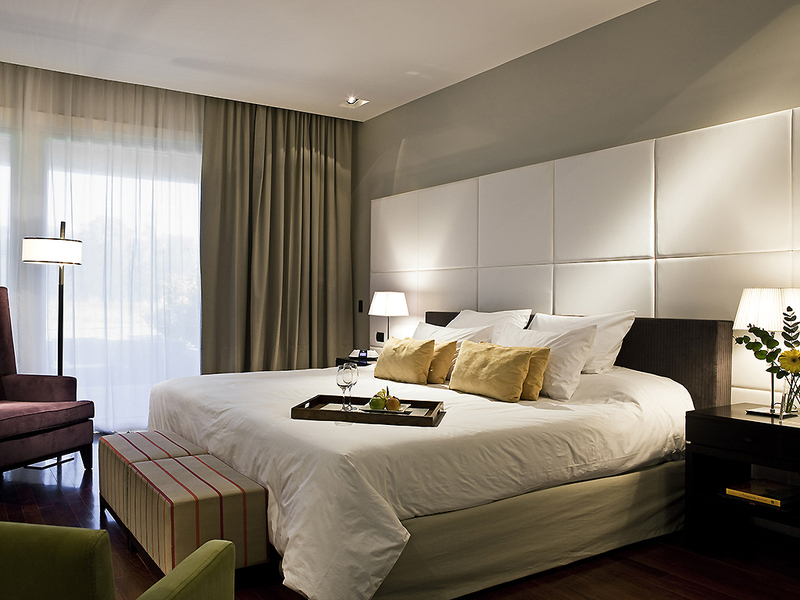 Elegant and spacious suites offering a delicate balance of work and relaxation. 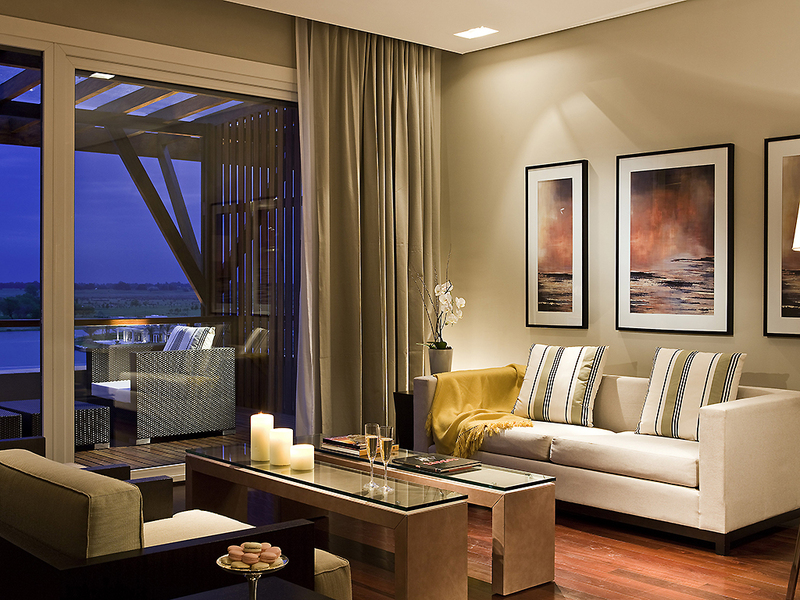 In addition to room service, these spacious suites are equipped with a Nespresso coffee machine. 560 sq. ft. (52 m2). Bright, spacious rooms with a king-size bed or twin beds, bathroom with natural light, tub and separate shower, private terrace, 32" LCD TV, two telephone lines, safe and WIFI Internet, with views of the countryside. Between 506 sq. ft. and 560 sq. ft. (47 m2 and 52 m2). Bright, spacious rooms with a king-size bed or twin beds, bathroom with tub and separate shower, private terrace, 32" LCD TV, two telephone lines, safe and WIFI Internet, with views of the lagoon. 646 sq. ft. (60 m2). Elegant suites that offer a delicate balance between work, rest and play, with a whirlpool bath, Nespresso coffee set, 42" LCD TV, two telephone lines, safe and WIFI Internet, with views of the countryside. 1076 sq. ft. (100 m2). Elegant suites with a separate living area and toilet, ideal for mixing work and play, with a whirlpool bath, Nespresso coffee set, 42" LCD TV, two telephone lines, safe and WIFI Internet, with views of the lagoon. Our room service is available 24 hours a day and includes hot dishes and cold snacks. Exquisite gourmet cuisine of an international standard and decor in a classic Argentine style. Enjoy the majestic views overlooking the lake and the partially-covered terrace, which forms the perfect backdrop to an unforgettable evening. A special atmosphere in which to unwind and enjoy the best beverages and cocktails. Enjoy them at the bar or in one of our lounge areas and be amazed by our bartender, who will prepare a delicious drink or glass of exquisite Argentinian Malbec. In a unique natural setting, the hotel boasts a magnificent range of function rooms and meeting rooms equipped with all the very latest technology. Our Inspired Meetings team can be relied on to exceed your expectations; from weddings to conferences, the tiniest details will reflect luxury and sophistication. 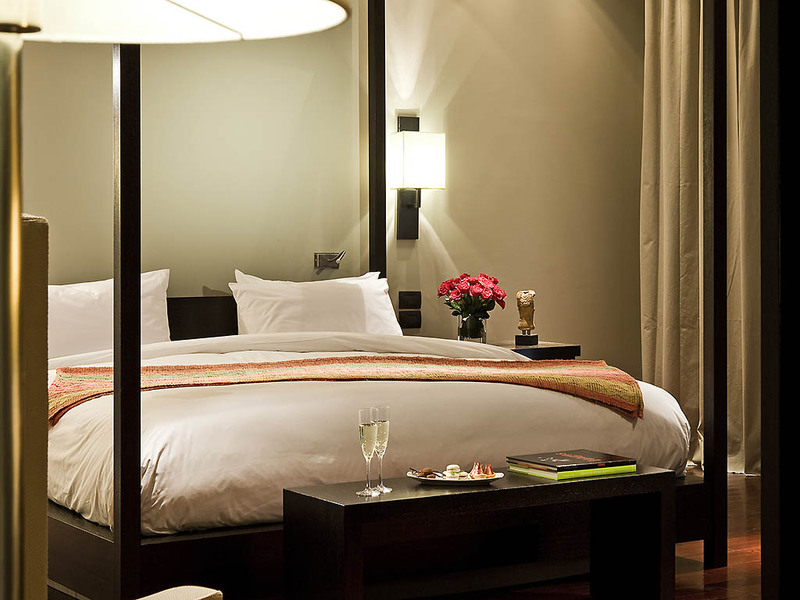 At Sofitel, a true romantic experience is guaranteed. Against a backdrop of natural beauty and peaceful sunsets, plan the honeymoon of your dreams with your partner, where every detail has been taken care of for you. Equipped with the latest German technology. A unique place for relaxation, with a wellness center, special spa circuit and high-tech gym. Guests and customers will experience an unrivaled feeling of well-being. With the most comprehensive range of nautical activities, kid's club, tennis, football, library, bowling, games room, dedicated concierge and exclusive heliport. 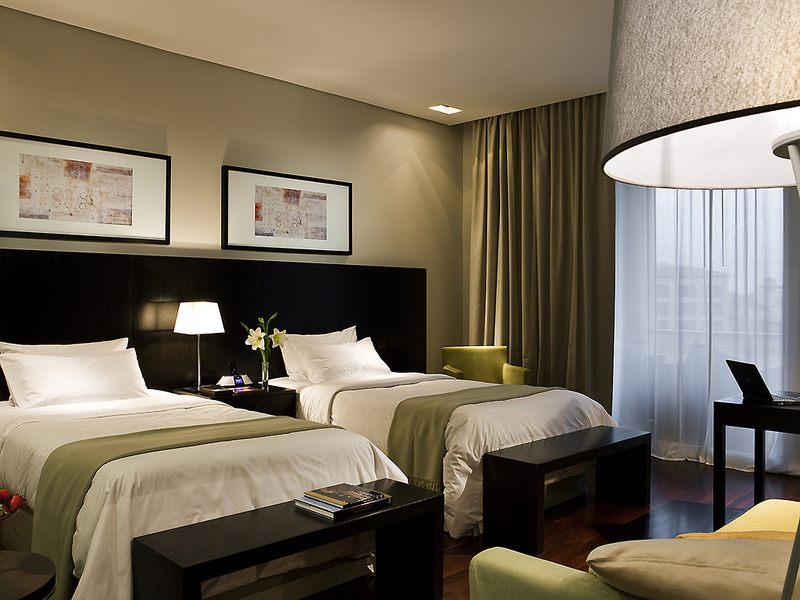 Everything you need with the added luxury of a 5-star hotel. Enjoy our outdoor swimming pool, separate children's pool and heated in-out pool. Discover our original recreational Vitality Pool, with cutting-edge games, massages, hydrotherapy jets, swan neck jets and water curtain. The La Reserva Cardales golf course is in keeping with the unique topographical characteristics of the area. A must for golf enthusiasts, located just 40 mins away from the federal capital. 18-hole, par-72 golf course, ideal for corporate tournaments.